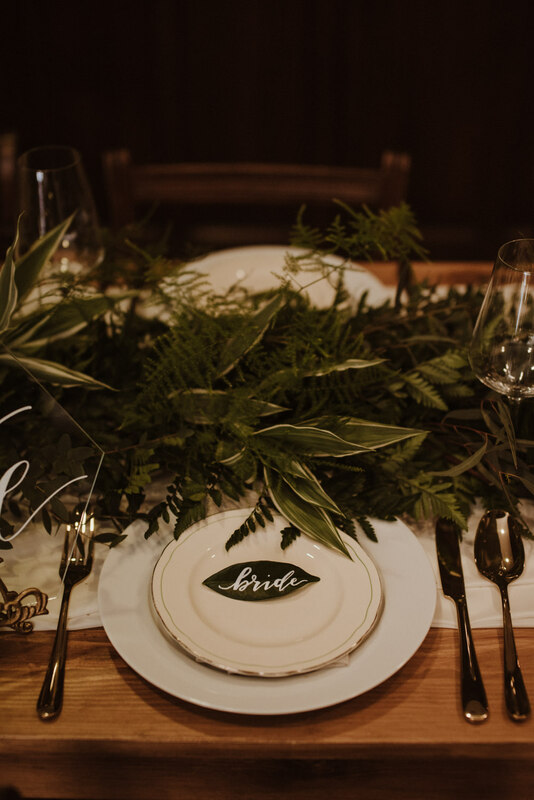 Greenery is a wedding trend that has been around for some time now and it certainly doesn’t show any signs of going anywhere. 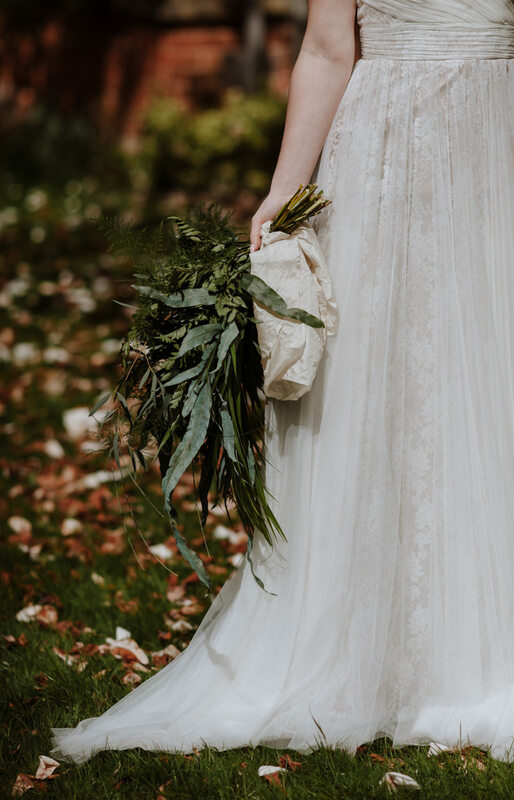 Beautifully natural and often more environmentally friendly, foliage is a brilliant touch. 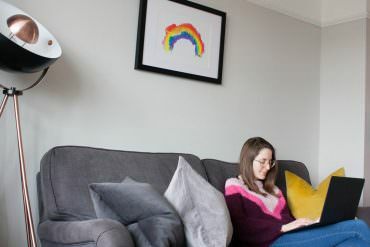 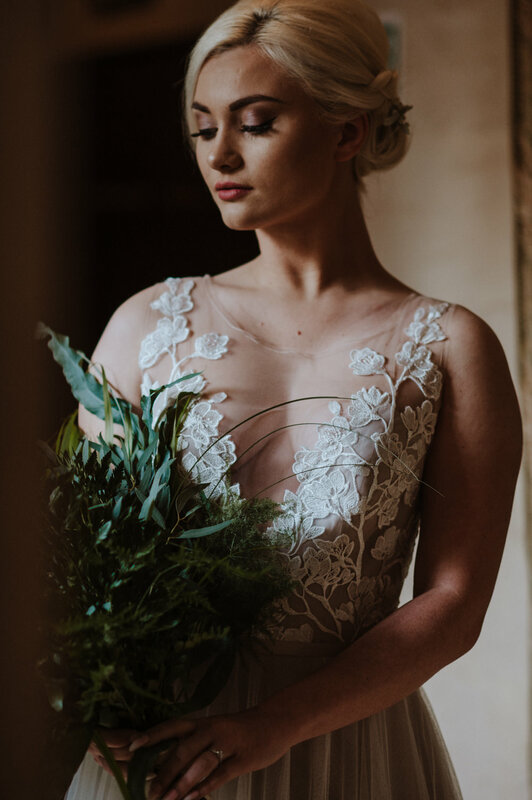 It’s really being shown off in a wonderful way in this shoot we are lucky enough to be sharing with you today. 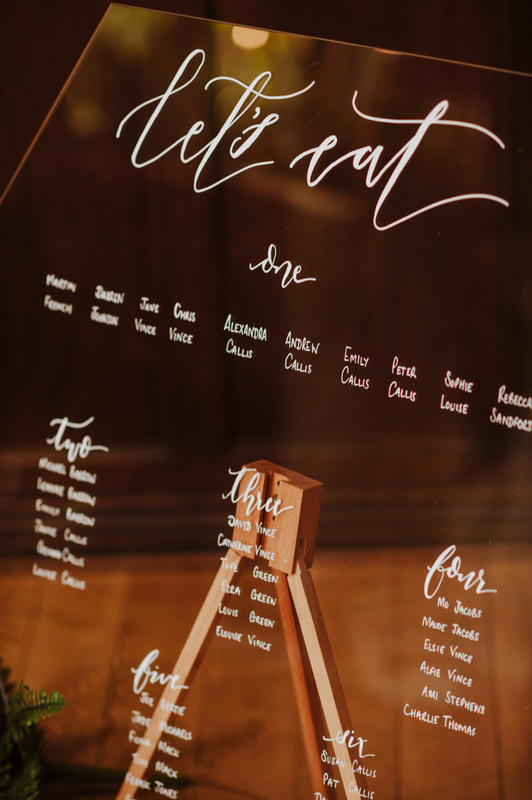 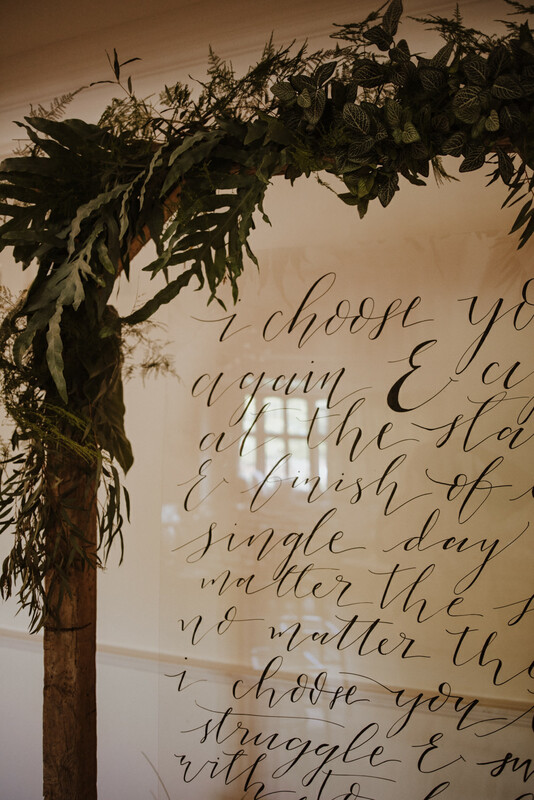 With moody and dark images captured by the fantastic Rubie Love Photography, the shoot was masterminded by Gemma Jane Design who also produced the beautiful clear signage and did all the calligraphy. 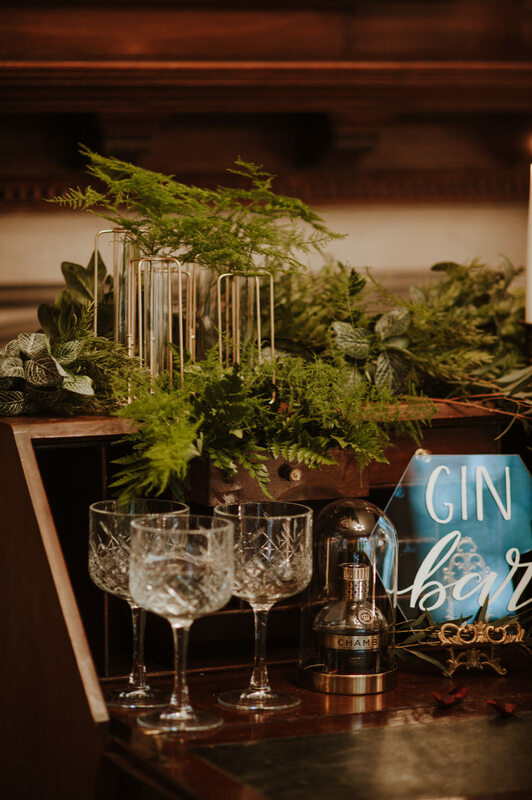 I have to say, I think my favourite touch is the gin bar bureau. 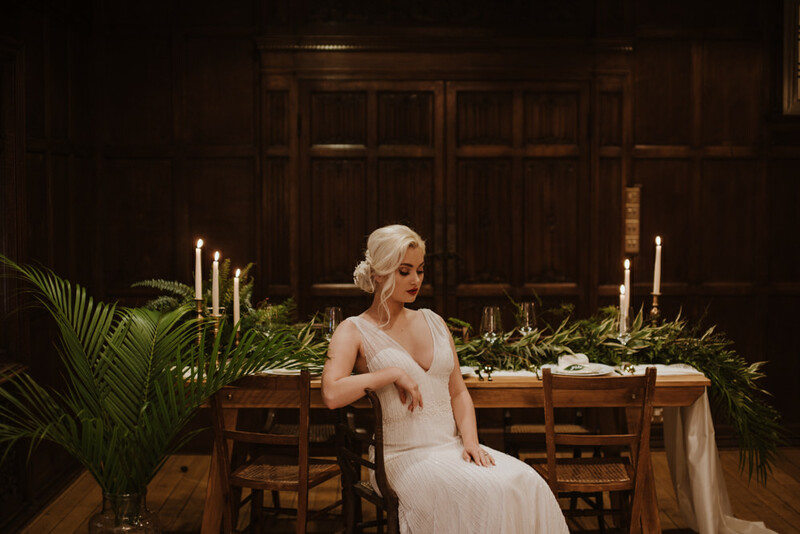 So elegant and perfectly in keeping with the beautiful wood panelled venue. 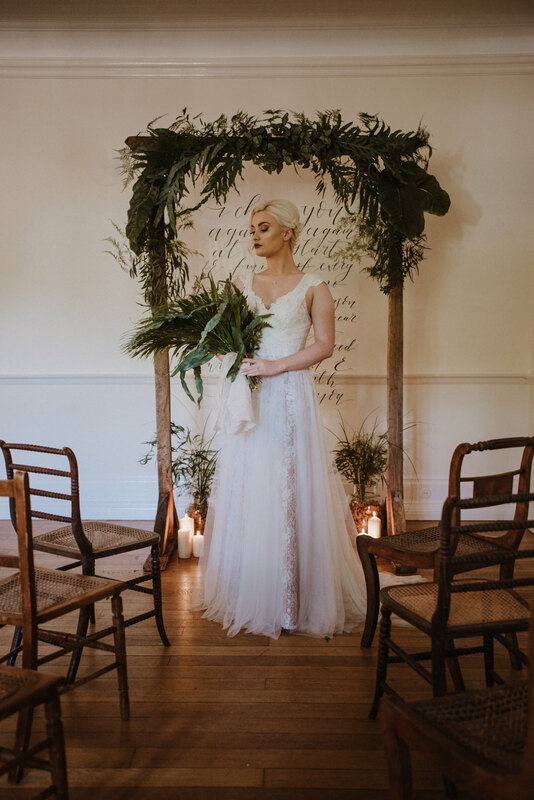 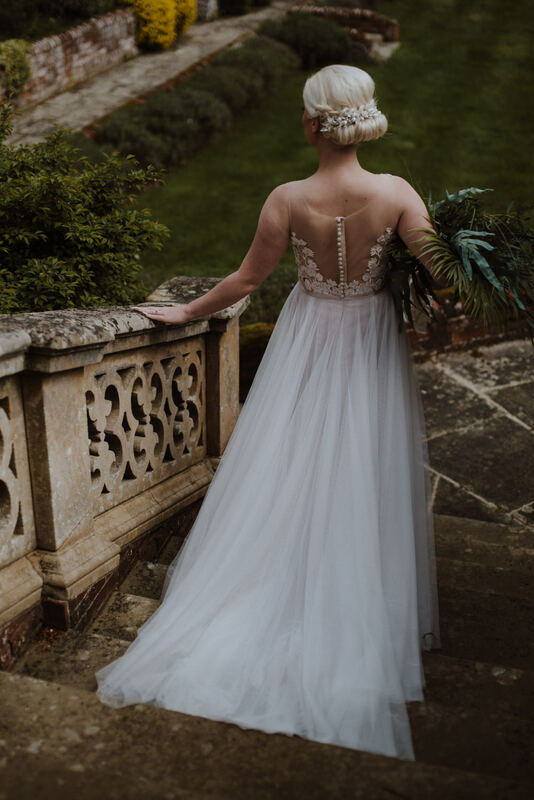 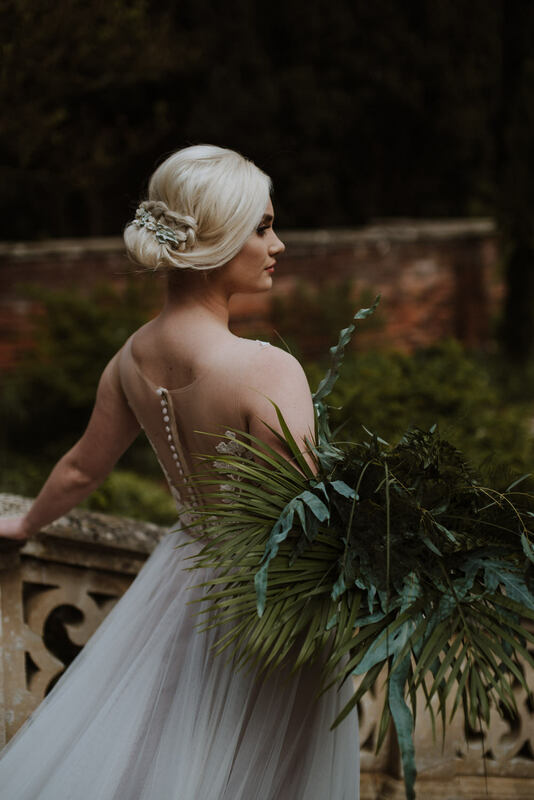 There really are so many beautiful details to take in, from the gorgeous stationery suites by WWW fave White Olive Design Studio, to the stunning bridal gowns and hairpieces. 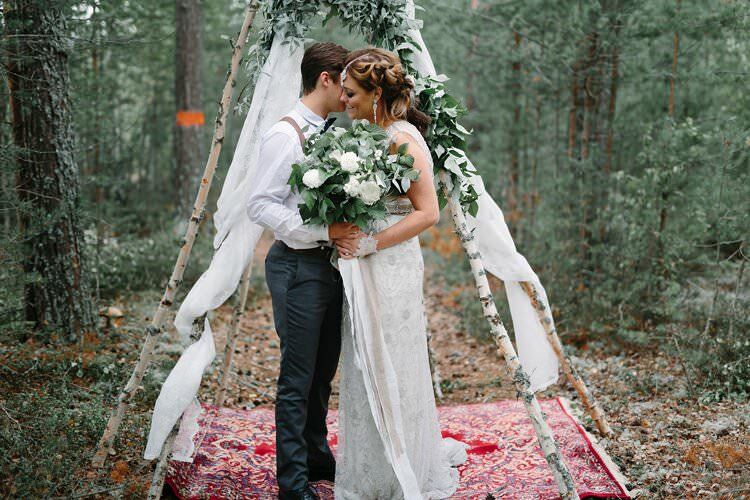 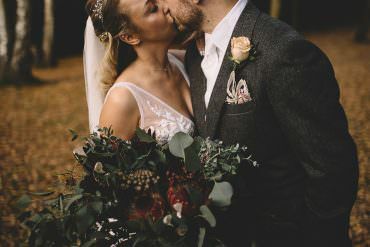 Whatever time of year the wedding you’re planning is, there is so much wedding inspiration to enjoy. 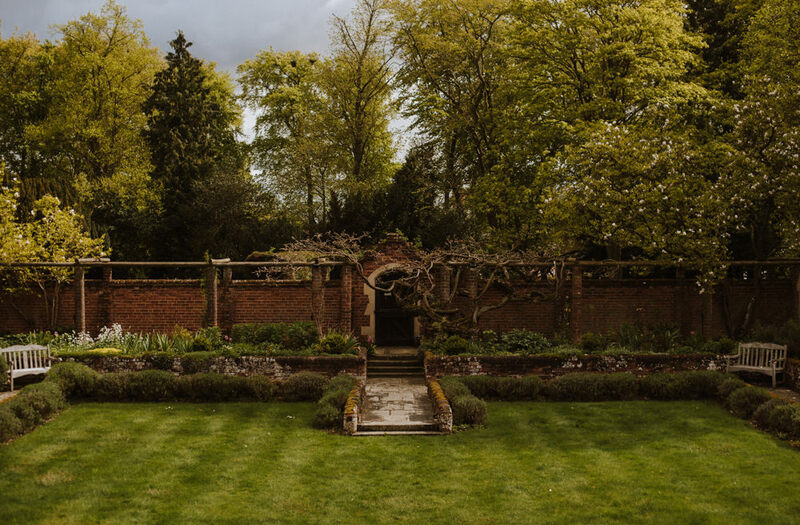 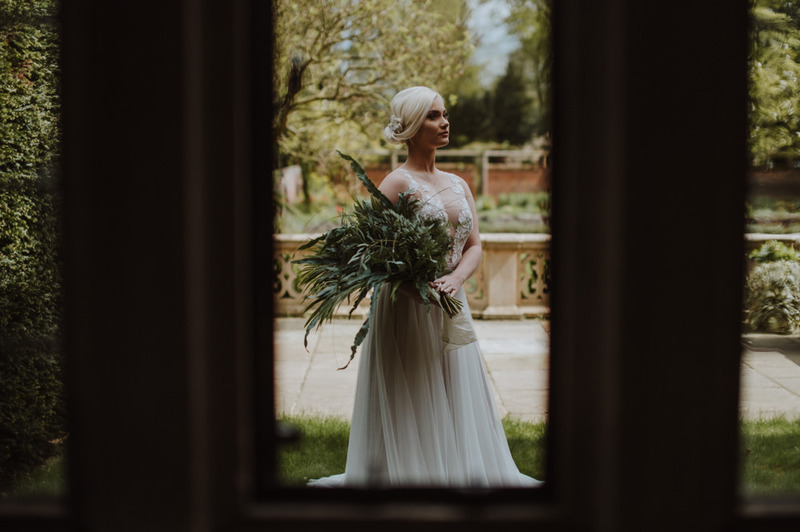 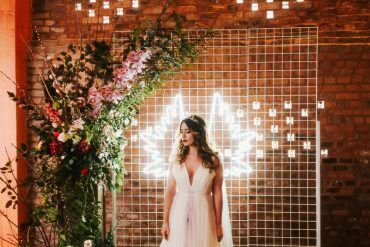 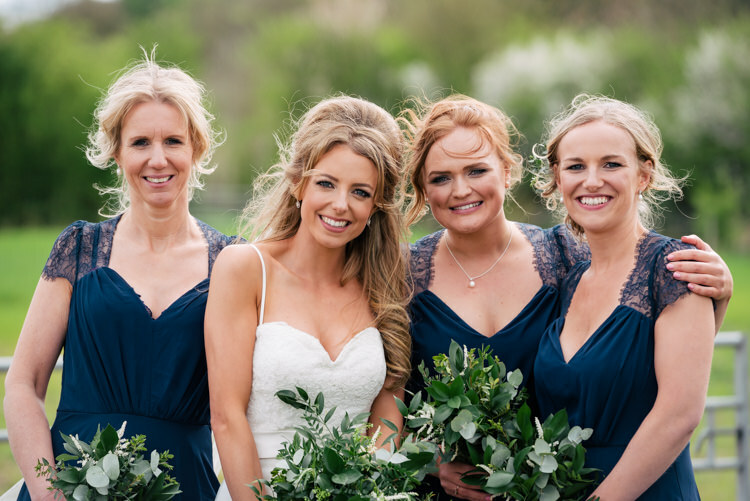 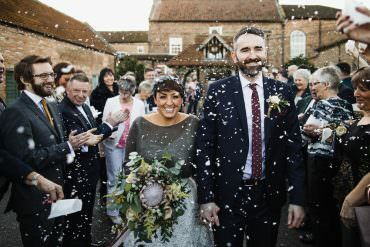 Back in April, I worked with a fabulous group of suppliers to pull together a styled shoot at Lanwades Hall in Newmarket a fairly new venue offering outdoor ceremonies in their walled garden which is stunning! 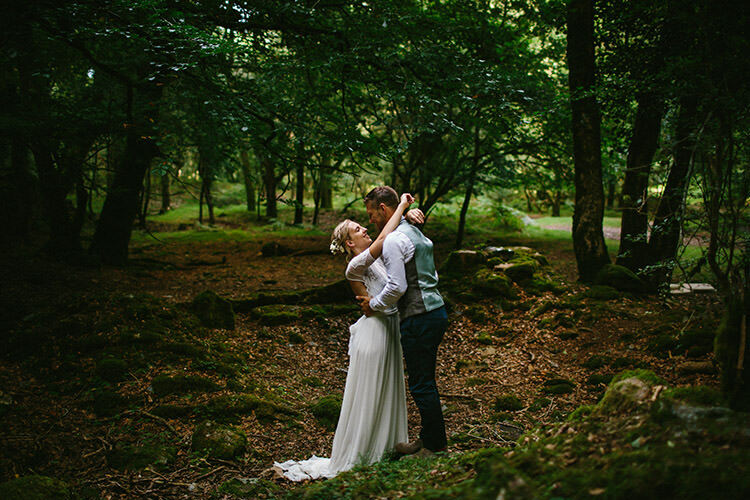 We wanted to go for a foliage only feel and using moodier tones in the photography. 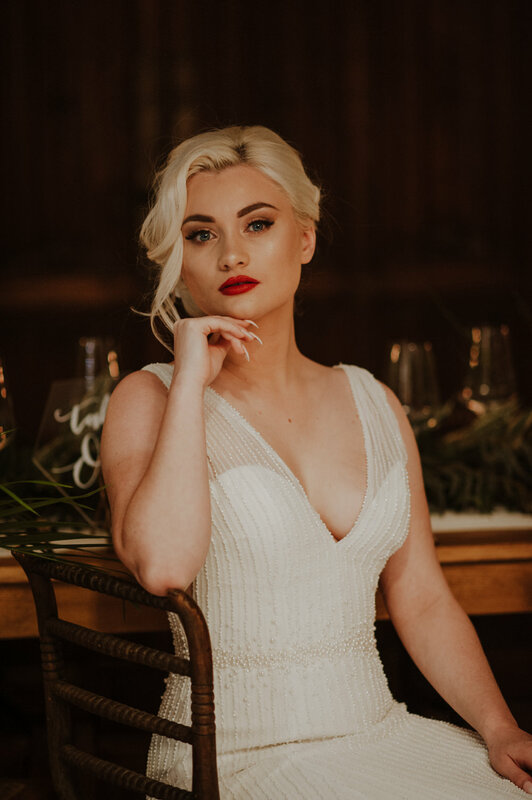 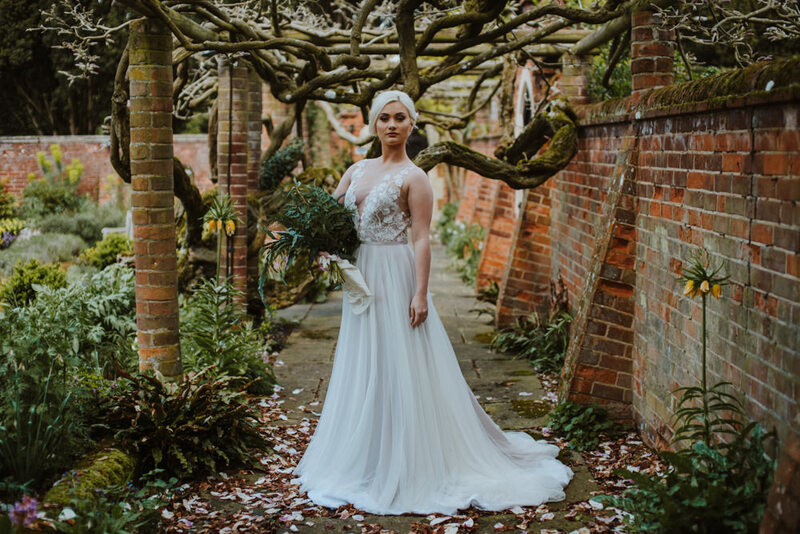 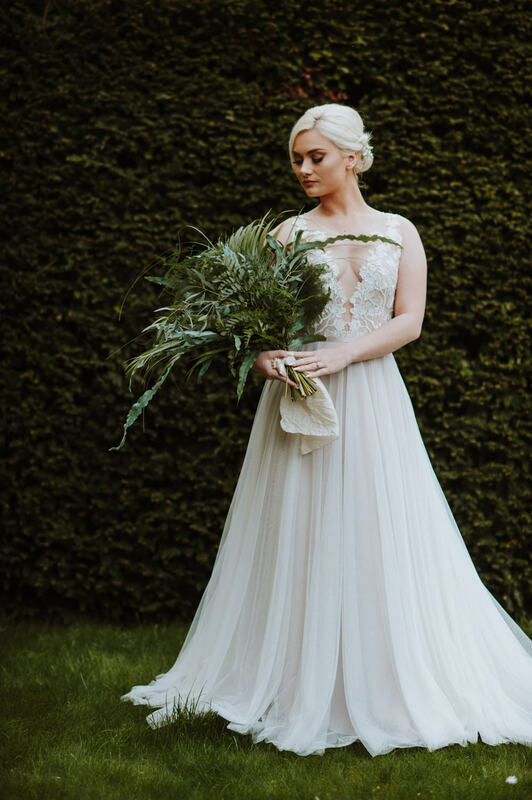 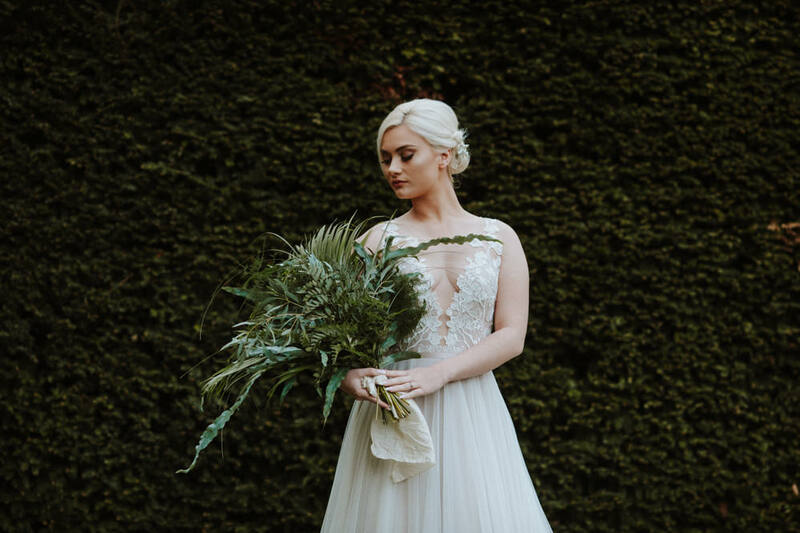 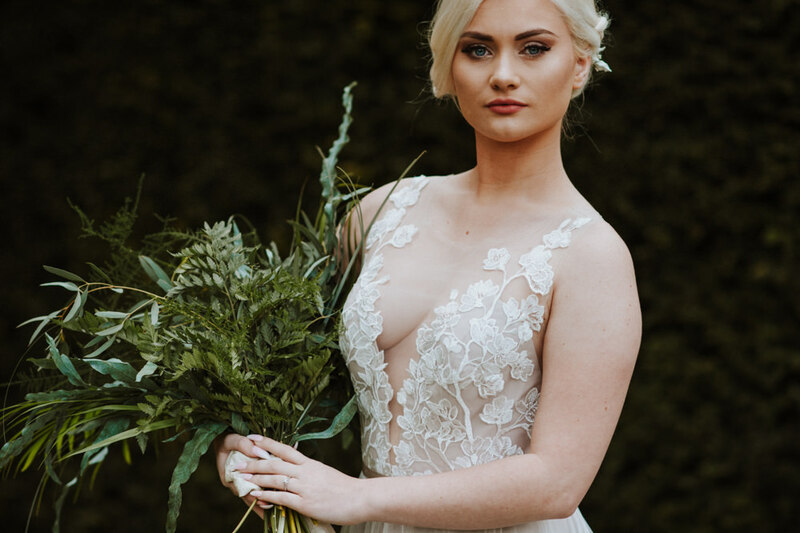 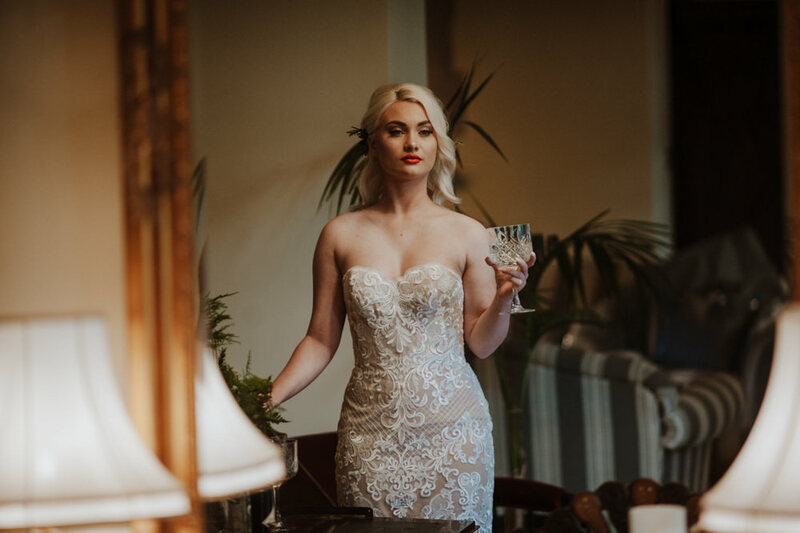 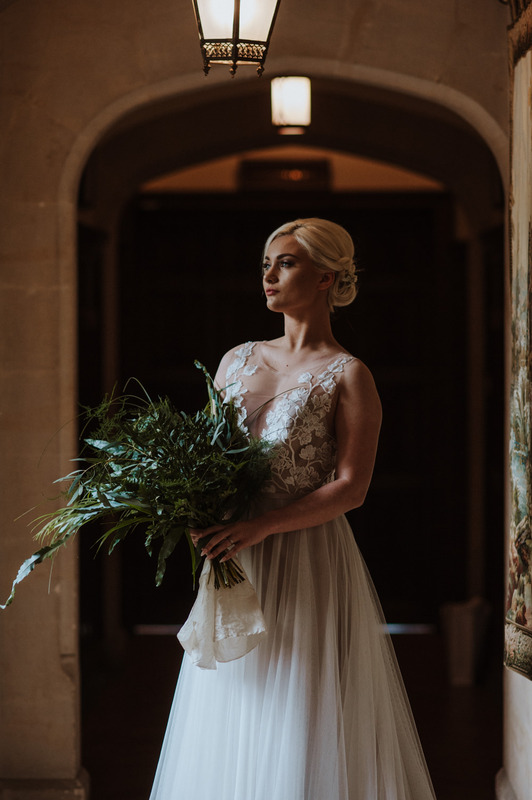 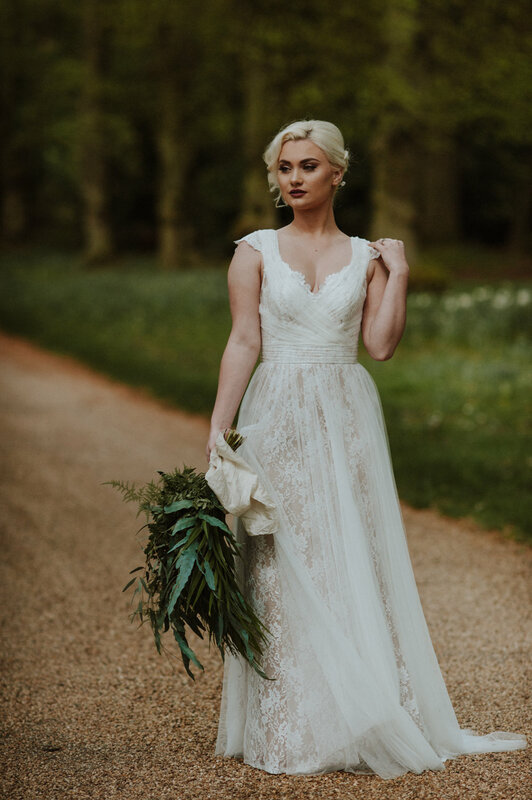 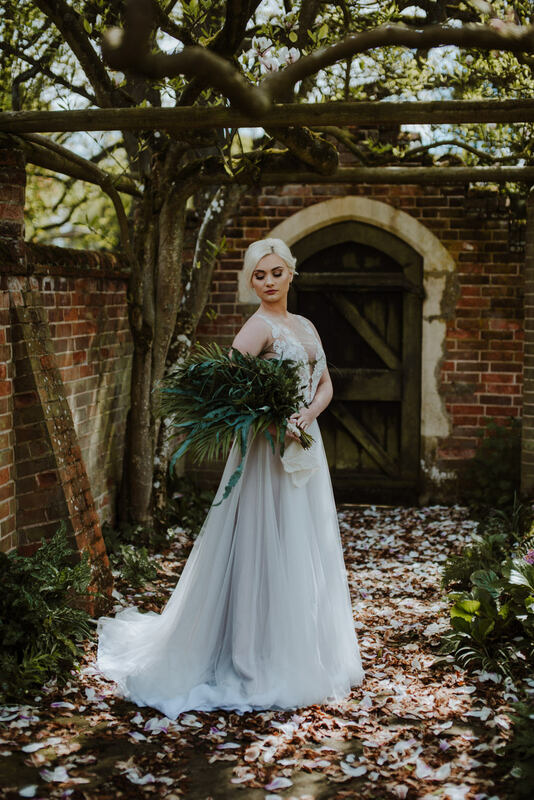 The model Jess was incredible and had a Daenerys Targarian feel to her and she looked amazing in the Watters gowns provided by House of Snow bridal. 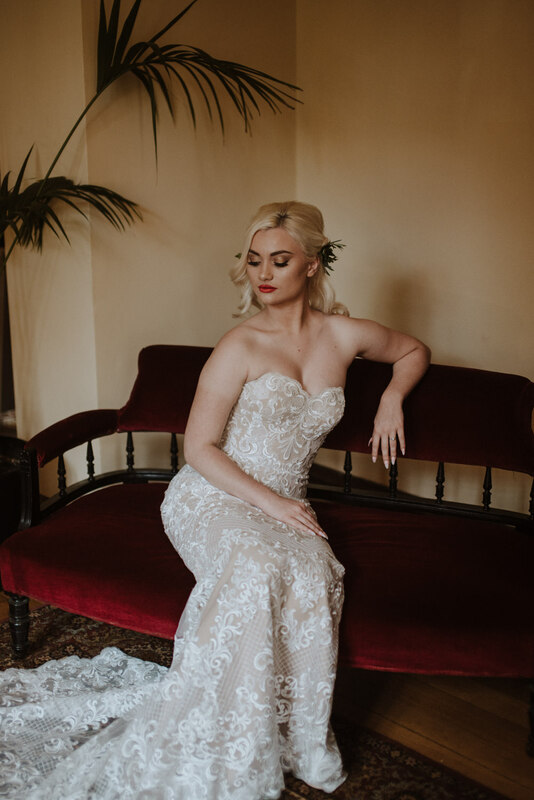 Photographing this shoot was an opportunity for me to really create work that I loved. 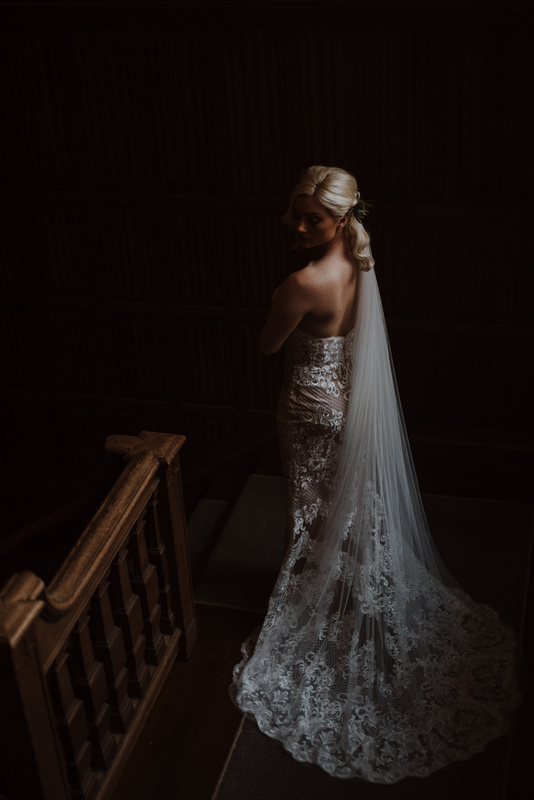 Using rich and moodier tones I love to create drama in my photos and I feel this was achieved here. 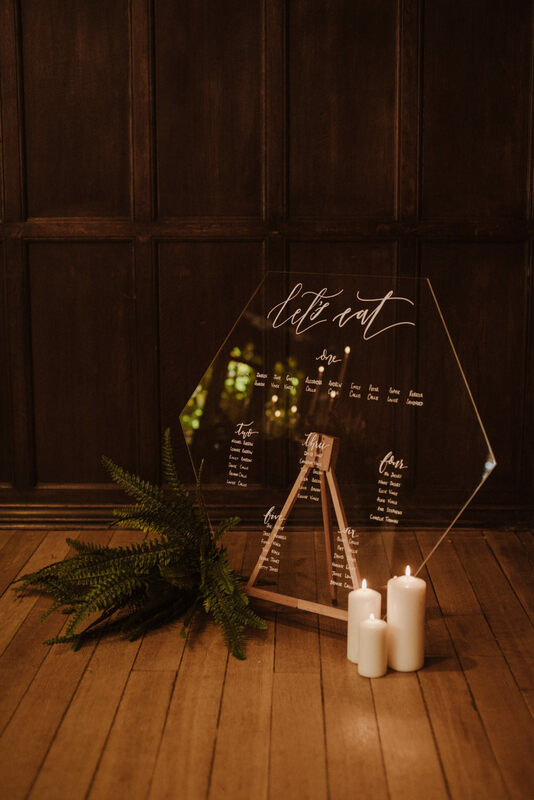 The concept was by Calligrapher Gemma Guy who wanted to create a shoot that really represented the type of weddings she wants to be a part of and I was more than happy to come on board. 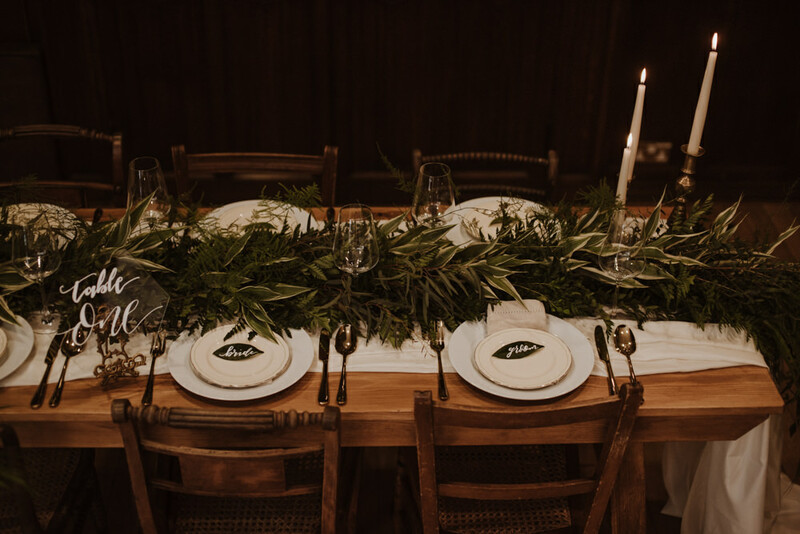 This wedding is all about taking an organic, foliage-only approach and giving it a contemporary, luxurious and elegant edge. 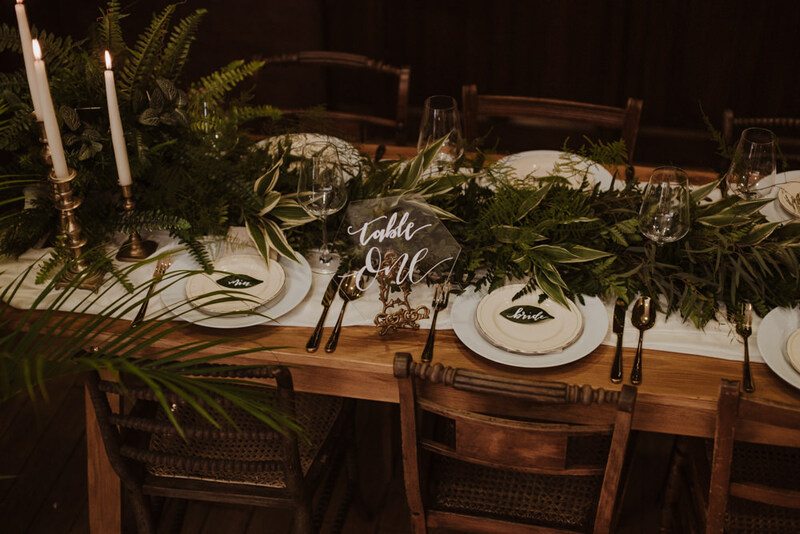 We used huge amounts of foliage to adorn the tables, combined with calligraphy leaf place settings to really bring the outdoors in. 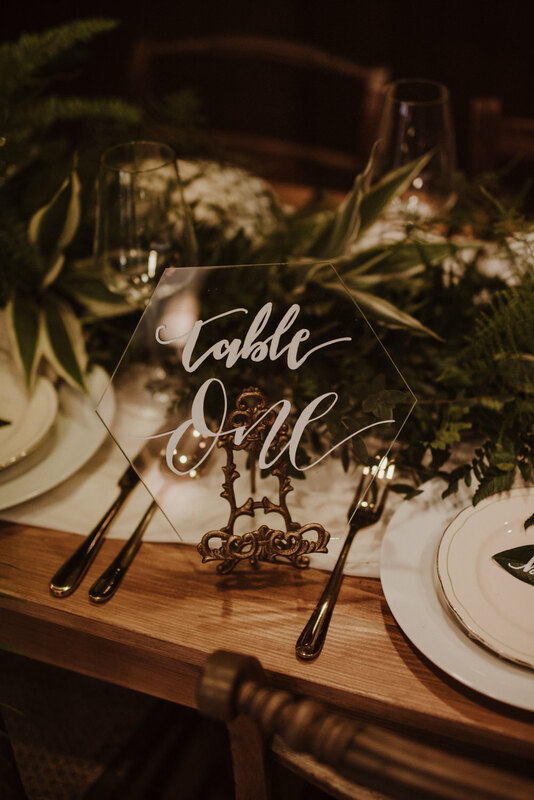 This paired with gold cutlery, clear glass and geometric touches in the accessories, the perspex table plan and table numbers created a fresh, contemporary, clean feel. 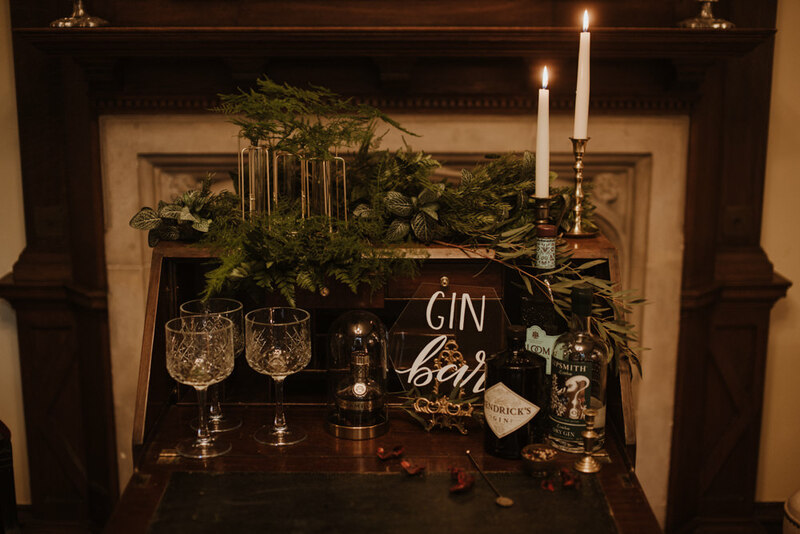 We scrapped a cake table in favour of a lavish Gin Bar Bureau, an essential for any contemporary bride to be. 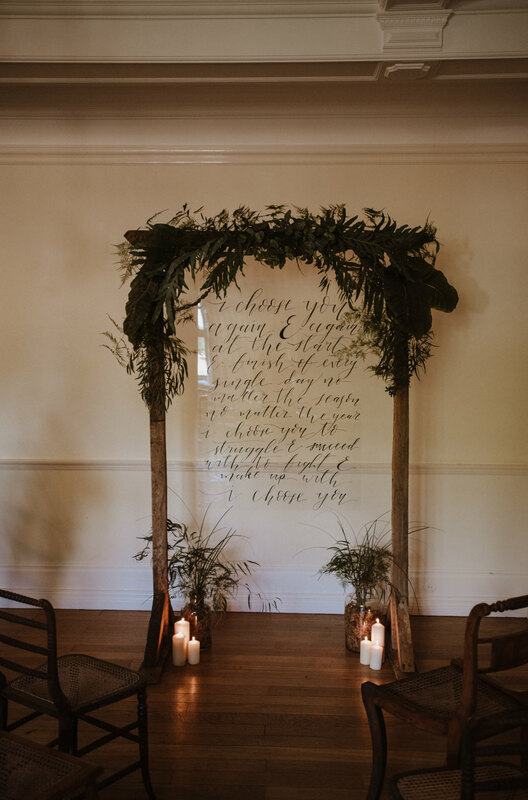 The unique ceremony room centrepiece wows with a wooden arbour draped in luscious dark foliage with hand lettered calligraphy vows, creating the perfect backdrop to say your “I do”s. 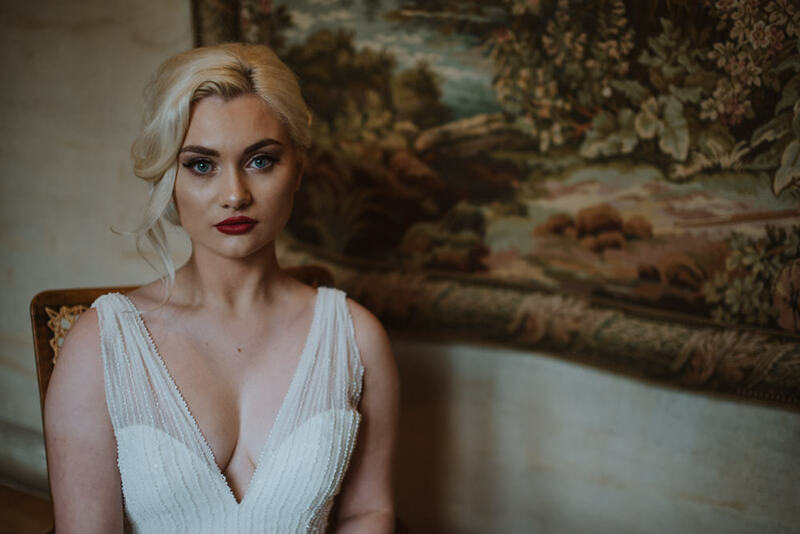 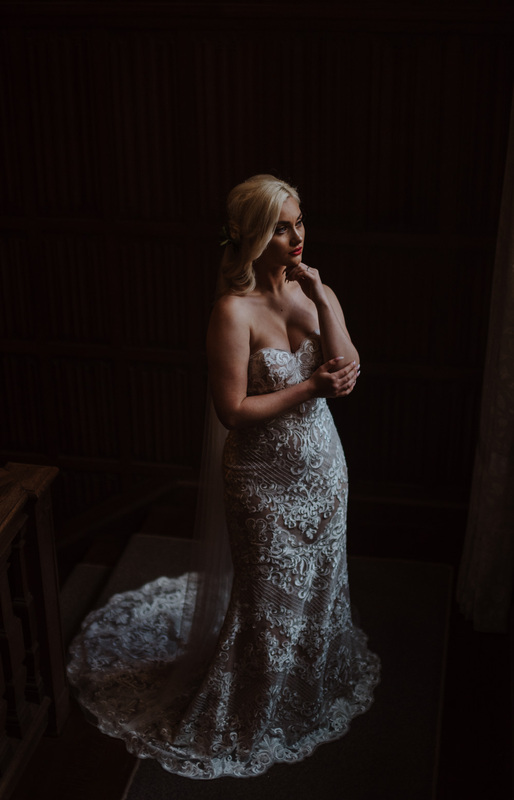 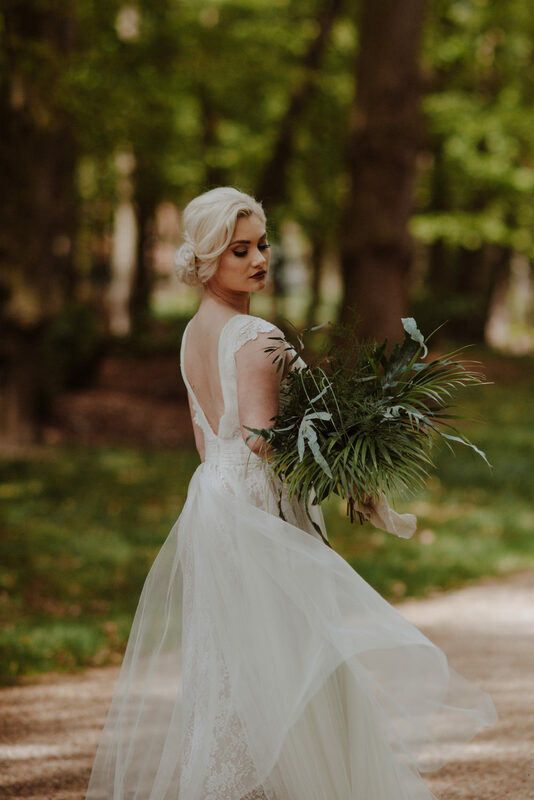 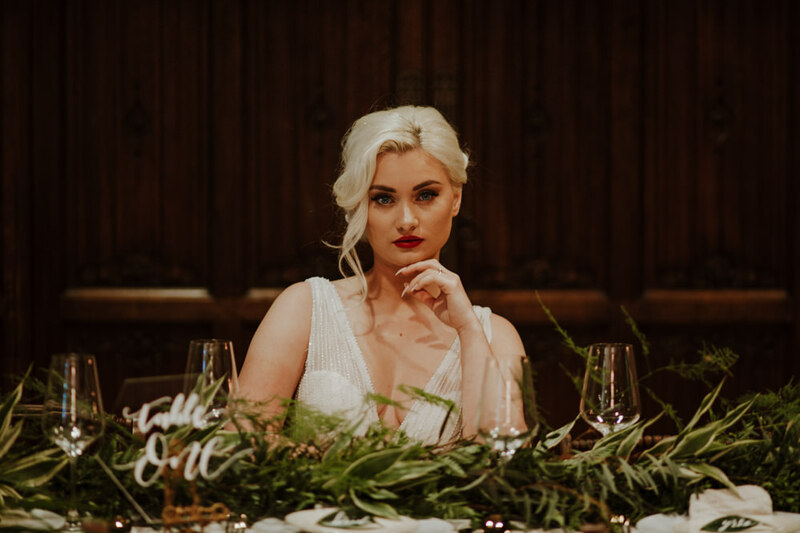 All of this was styled with the backdrop of the gorgeous dark wooden panelled walls and stunning grounds at Lanwades Hall, was brought to life by our stunning model, sensational dresses and accessories and incredibly dark, moody and luxurious photography to create the unmistakable feel of opulence. 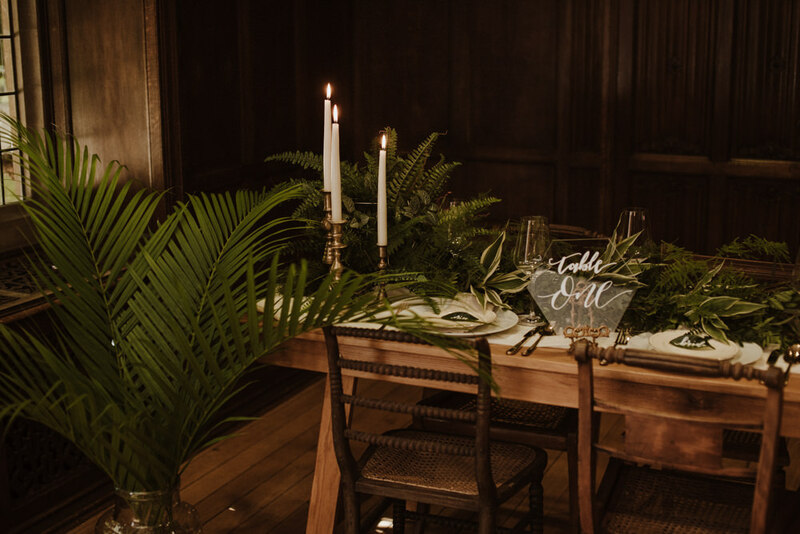 V V Raven was happy to collaborate on this shoot with a collection of local creative suppliers. 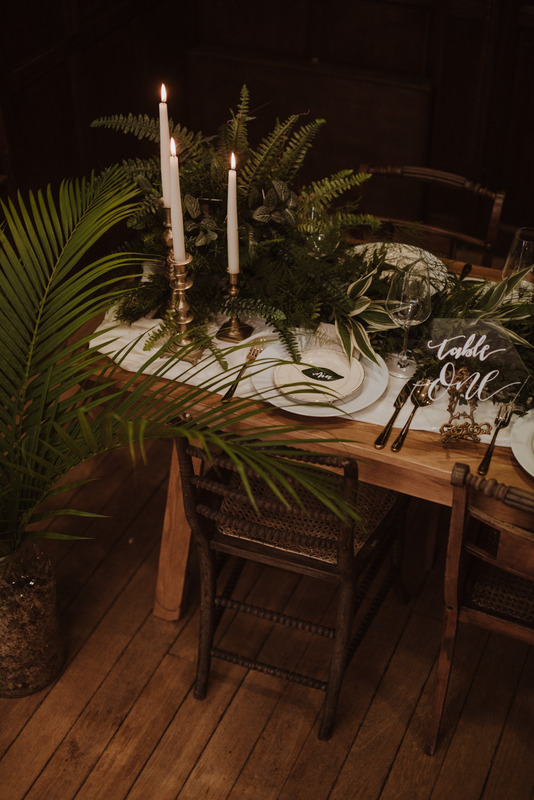 We created a verdant palette using simply foliage, realising the beauty of the sumptuous organic textures of British and tropical leaves. 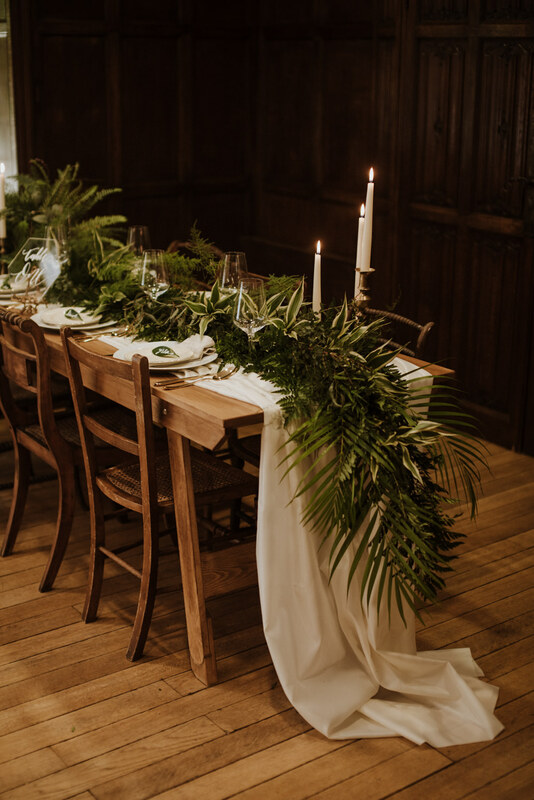 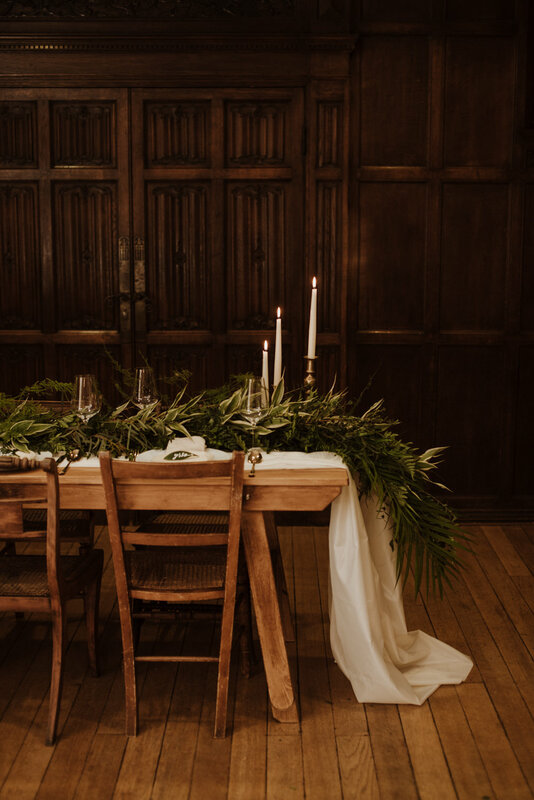 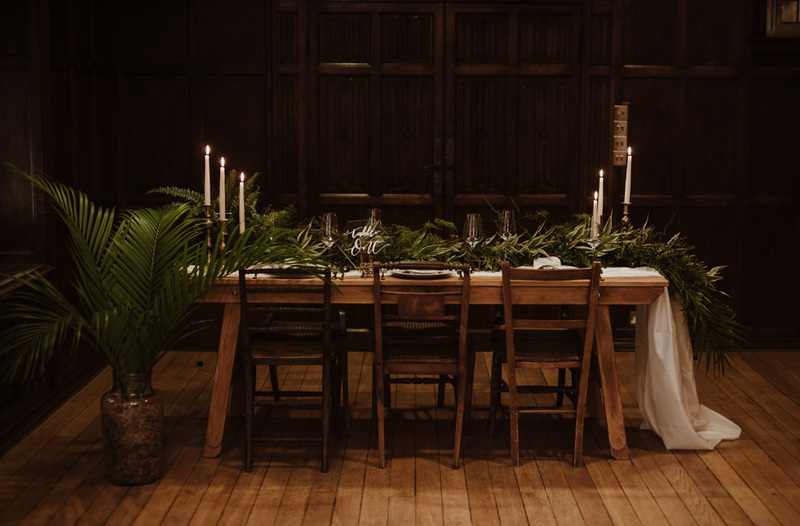 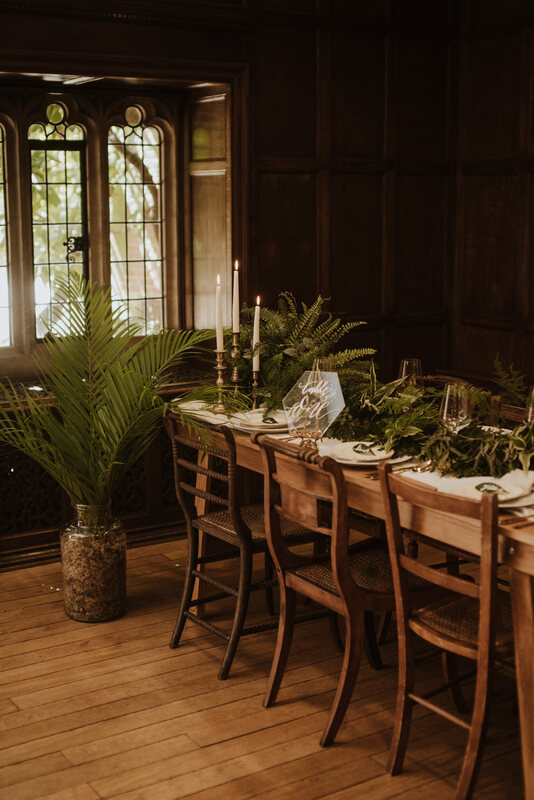 The lush botanical styling set off the impressive hardwood panelling of Lanwades Hall and added a luxuriant edge. 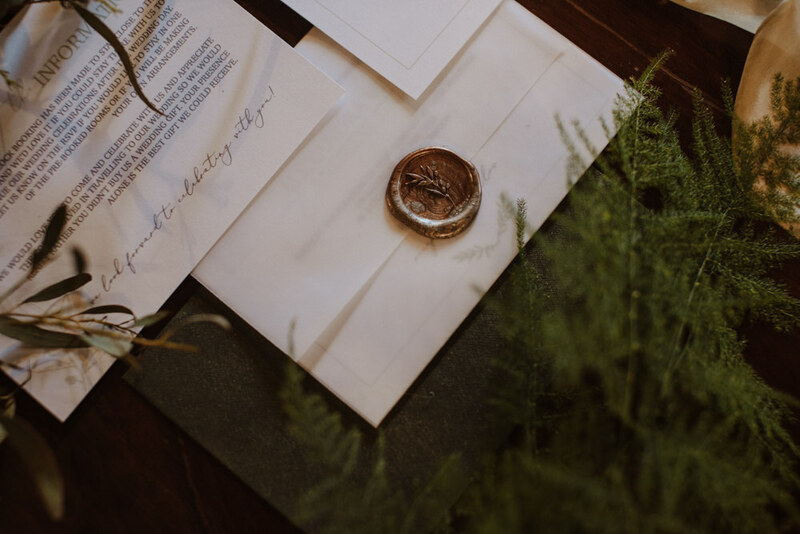 I was asked to provide an invitation suite for the shoot to reflect the natural styling and botanical details. 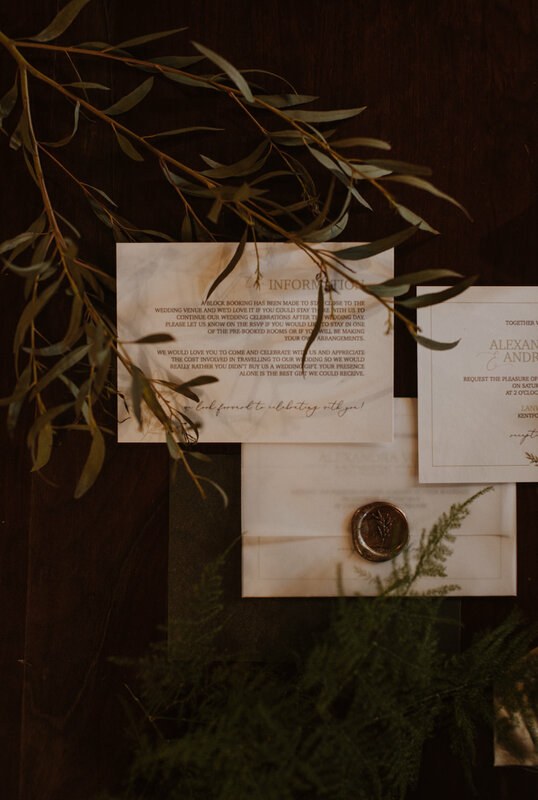 The invitation suite featured hand-painted olive branch details and modern typography printed onto a natural white cardstock. 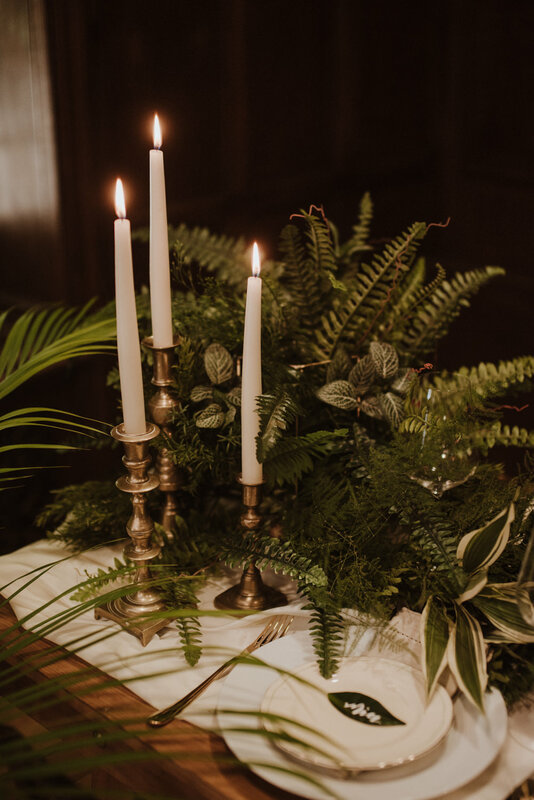 The suite was finished with a vellum wrap and a copper olive branch wax seal to tie in with the natural tones used for the silk details from the shoot. 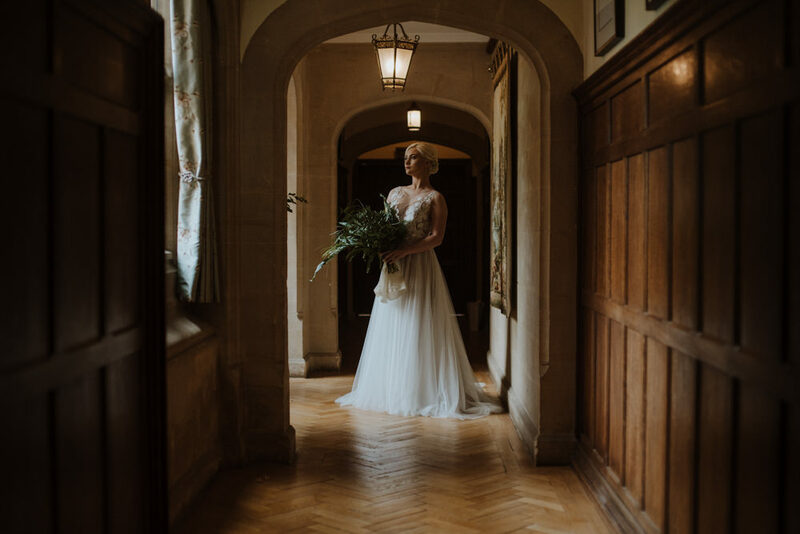 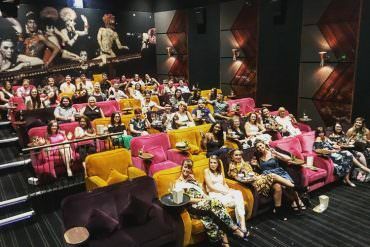 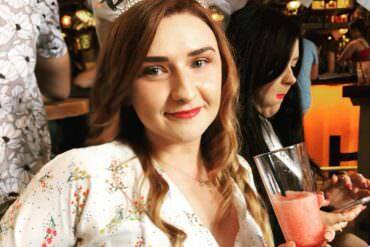 It was a great experience working with everyone, all were so organised and the venue was beautiful, the props used were so unique and pure class. 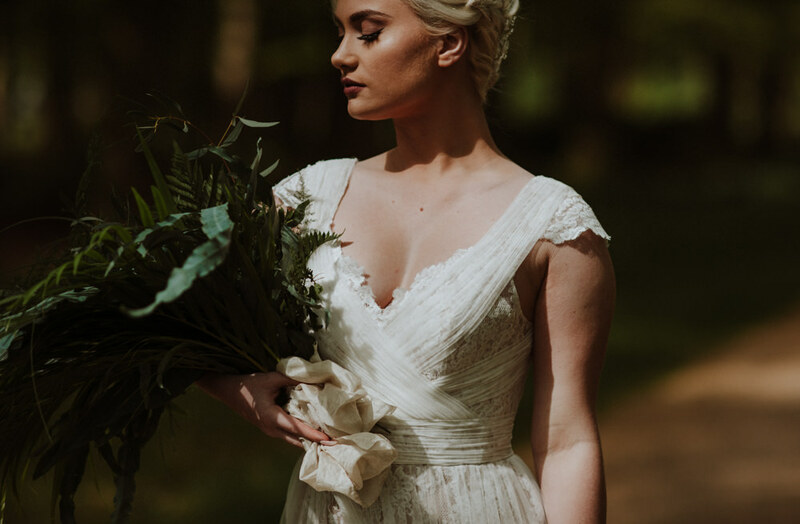 I found the flowers and props went down beautifully with the style of dresses that were being modelled. 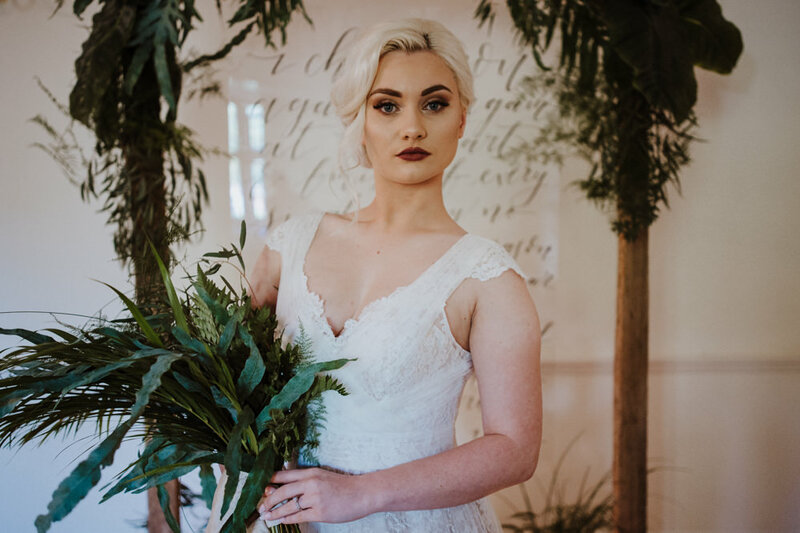 My part was to enhance the models naturally beautiful look with elegant but stylish and modern makeup, using colours and shades to compliment the model as well as the dresses, props and flowers. 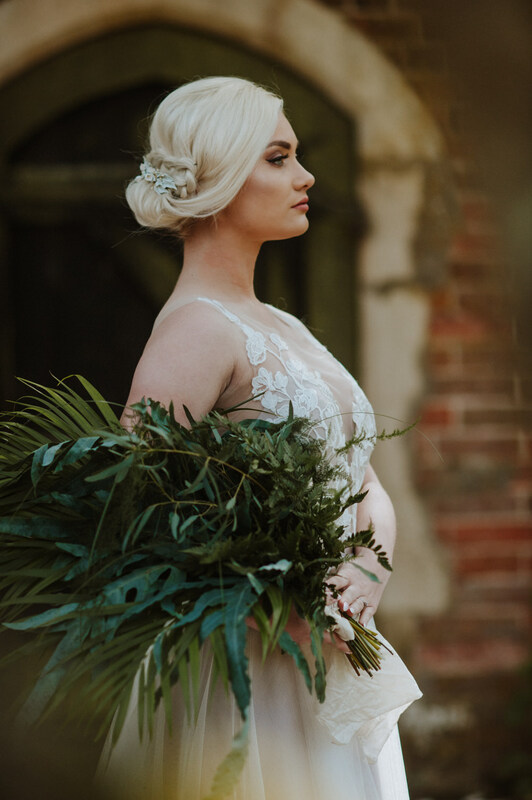 This also goes for the hairstyles I created. 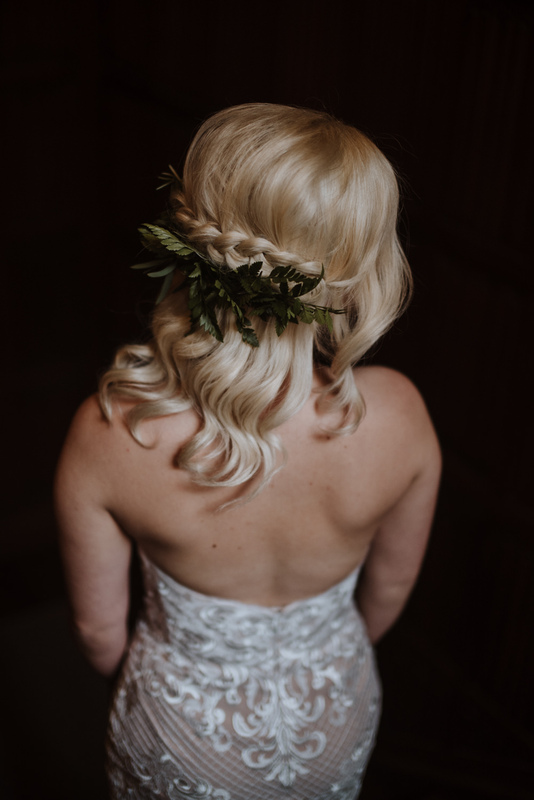 It gave great effect being able to use the elegant hair pieces from PS With Love. 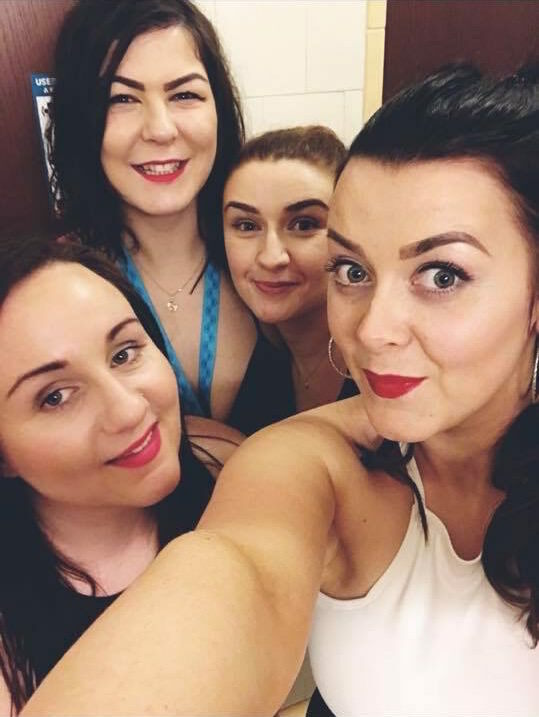 All in all, I enjoyed working with everyone and would recommend and use them all in the future. 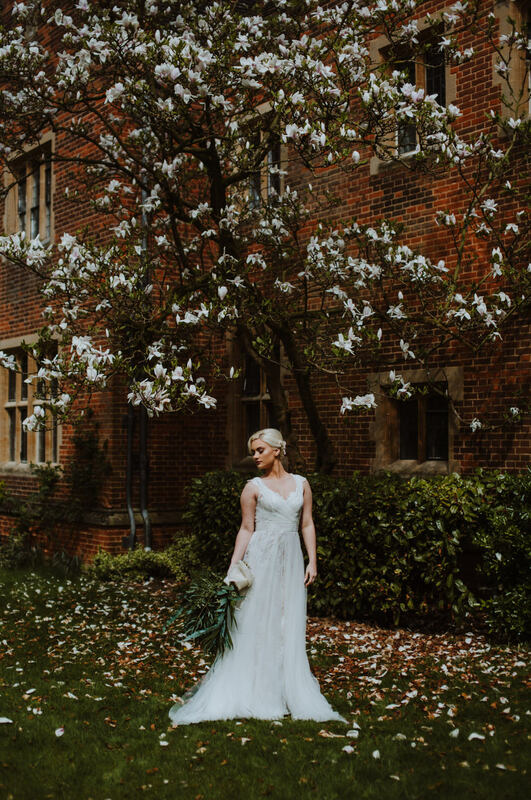 I found the venue and location itself was peaceful and beautiful! 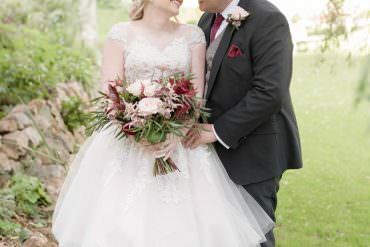 The photographer really knew what she was doing the photos were amazing. 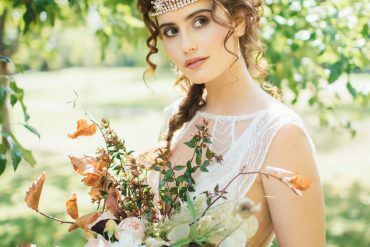 I wanted to keep the hair accessories simple with an organic, feminine and romantic style. 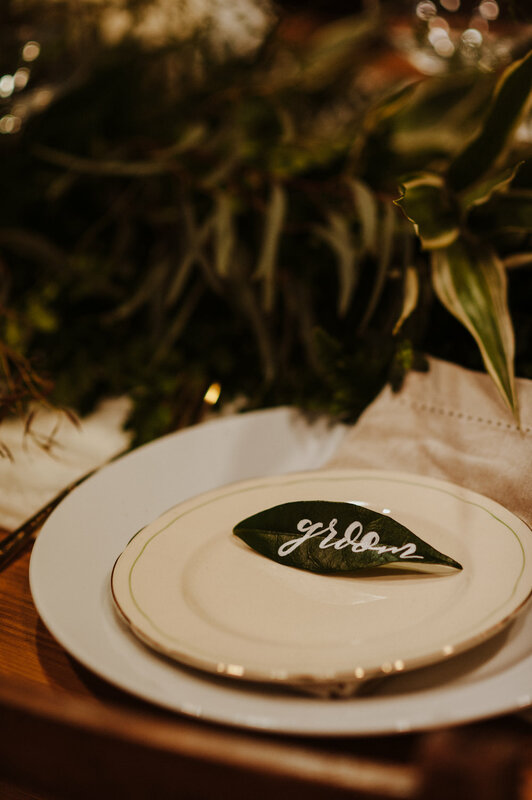 As the brief was foliage I used long rippling handmade porcelain leaves in a soft green hue, with accents of white and gold. 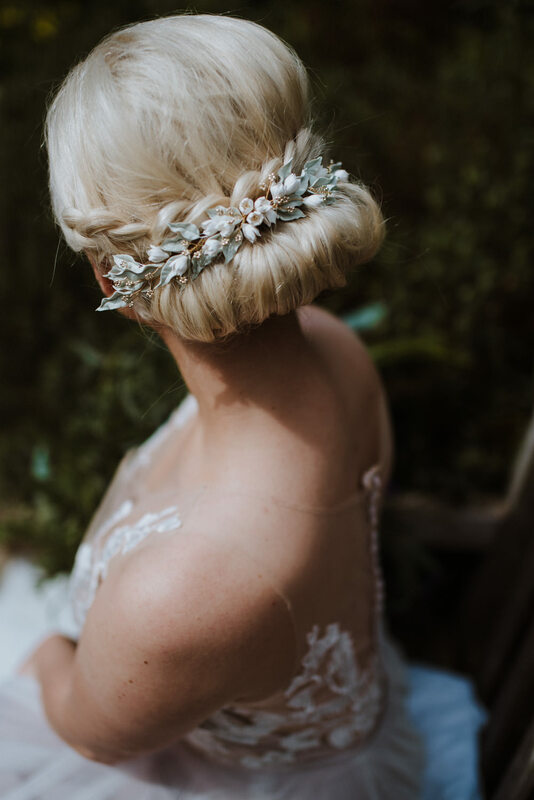 A gentle touch of glistening Swarovski crystals were added to the hairpins to give a subtle luxurious feel but still keeping the organic style.